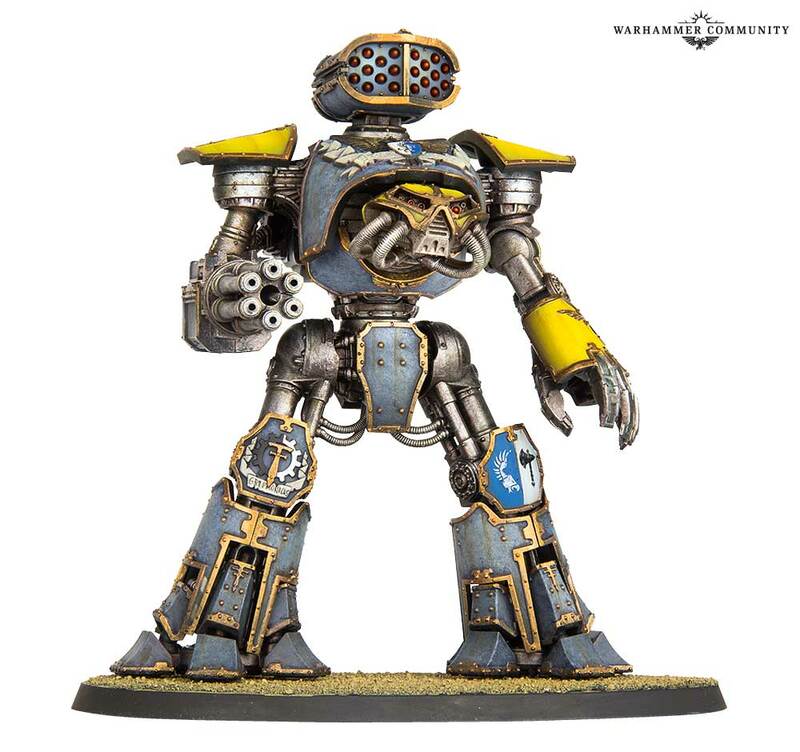 Reaver Titans are coming out for Pre-Order this next weekend. But what do they actually do? Let’s take a look at these heavily armed, yet still flexible friends. 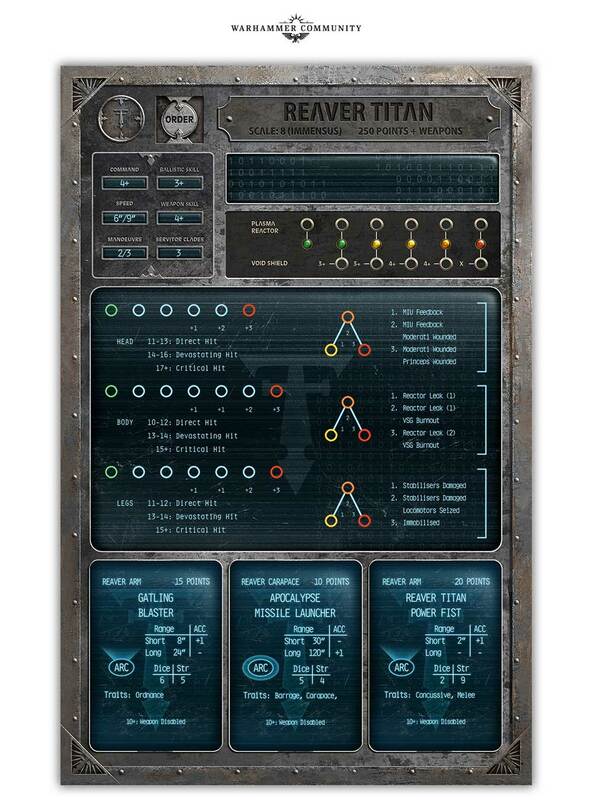 Reaver Titans are the workhorse titan, so to speak. They have the most weapon options, they have the most flexibility in loading them out, they’re more maneuverable than a Warlord–and better at dealing with close range attackers–but they’re not as flimsy as a Warhound. There’s a lot you can do once you start thinking with Reavers. Reavers are problem solvers. And the key to getting the most out of them is figuring out what problem you want them to solve, and then using them to do exactly that. They don’t have as much firepower as a Warlord, but they’re faster and better able to get into the rear and side arcs of your enemies. Plus you can give them a concussive power fist that lets you target a specific subsystem on your enemy’s titan without any kind of penalty–so you can have your Reavers lay into a target as they approach, then tear them apart with their bear power-hands once they get in. 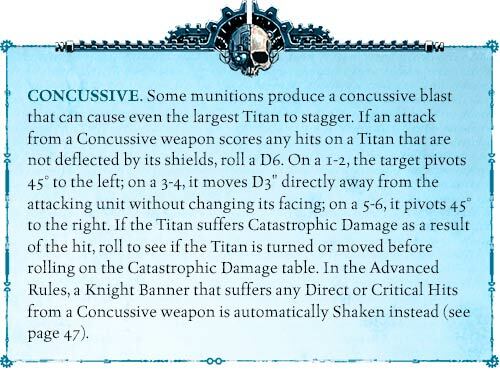 Concussive is particularly mean in Adeptus Titanicus. Positioning is already king in this game, and with the Concussive rules you’re able to potentially change your enemy’s facing, or knock them out of position, playing havoc with their followup plans. As far as fielding these guys, whichever maniple you take has a place for a Reaver, these are, as we’ve said, the workhorse titans. You could probably rely exclusively on them, but they work best when paired with their bigger brethren, or riding herd on a pack of Warhounds. 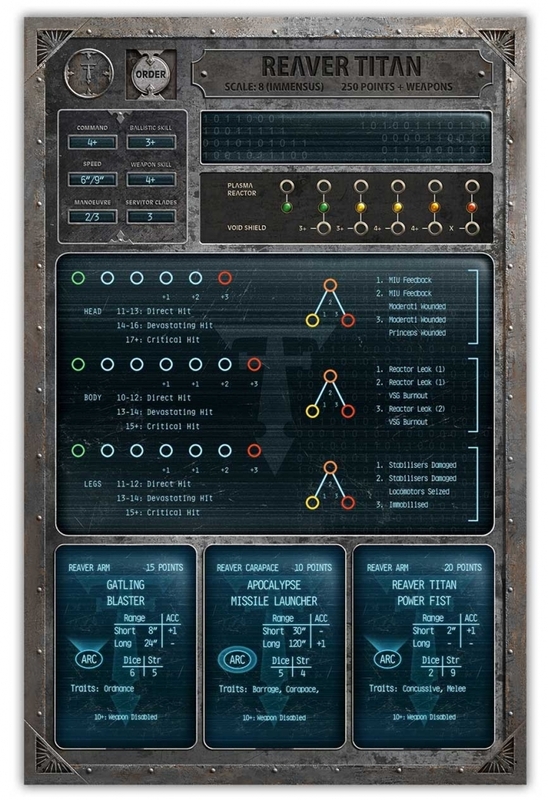 In a game that really captures the big, plodding feel of this sort of ‘mech combat, with the massive titans feeling a little bit like battleships or what have you, the Reavers offer you a nice blend of flexibility and sturdiness. A handy backup for any player’s Legios. Now you’re thinking with Reavers!